Remember when a 5MP smartphone camera was high-end, and Nokia used to lead the way in mobile imaging? Well, (half of) those days could be coming back. HMD Global, the brand making phones bearing the Nokia moniker, has registered the PureView trademark, the label attached to the powerful cameras on the back of smartphones starting in 2012. TechRadar was in attendance when the first smartphone to use the branding, the Nokia 808 PureView, was announced - a stunning 41MP snapper bolted onto the back of a huge Symbian-powered handset. The pictures were indeed impressive, with Nokia extolling the virtues of the technology through its ability to magnify the images without the need for an optical zoom. The technology was then used on the slimmer, Windows Phone-powered Nokia Lumia 1020, bringing powerful imaging technology to the Microsoft platform. 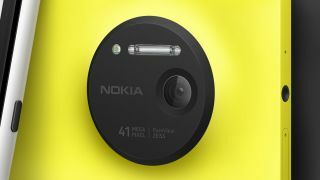 This was used on multiple models, even through the Microsoft acquisition of Nokia, and became the label used to denote a high-end camera on a handset, even when megapixel counts fell from 41MP to 8MP, showing the lack of need for high MP counts weren’t always necessary in a smartphone. Fast forward to 2018, and we’re seeing those megapixel wars cranking into life again - Huawei’s 40MP sensor (one of three) on the impressive P20 Pro are yielding some of the best photos from a smartphone of 2018, and HMD Global looks like it wants to join the fray. The trademark could mean nothing, of course - HMD also has the rights to the Asha and Xpress-On names from Nokia, which it’s not done anything with yet. Nor do we know if the brand has licensed the underlying PureView technology that made Nokia’s previous cameras so successful. TechRadar has spoken to HMD Global about the trademark acquisition, but was told "there's nothing more we can say at this time". That said, Nokia phones have been drenched with retro value - see the Nokia 3310 and Nokia 8110 as proof of that - and re-using powerful branding could help remind the public that the once-great Finnish brand is back in business. Nokia 808 Pureview camera: just how good was it?